Alice through the mirror pictures the duality of the body, confronted to new technologies and social networks. This show explores the infinite possibilities of different identities we are offered, leaving this central question: where is my body in this timeless space? Born from a collaboration between Tigrelab and the choreographer Núria Guiu, with the original music from Thomas Vaquié, Alice is a 18-minute performance mixing contemporary dance, dynamic lighting, scenography and video. 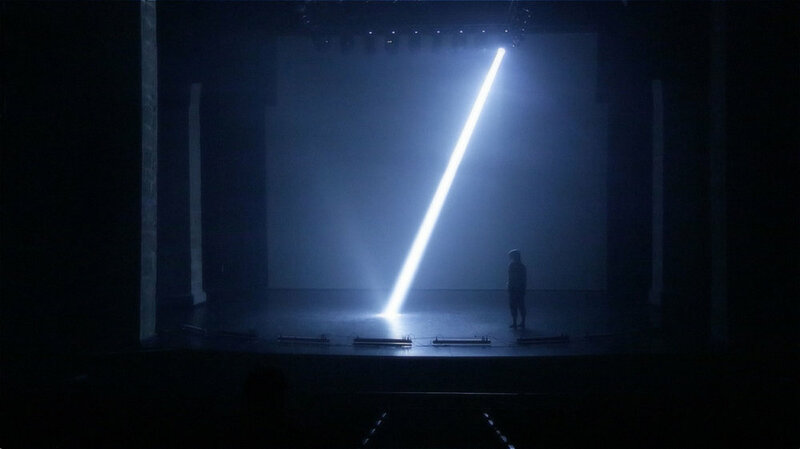 We used a Custom DMX software to control the 32 motorized light beams in an organic way, composing the changing light scenography.